Boy Scouts of America is a world-wide youth movement for boys between the ages of 6 and 18 focusing on the theory that young men learn and develop life skills best when they have fun. Boy Scout Troop #48 is sponsored by Park Lake and consists of boys ages 10 to 18. 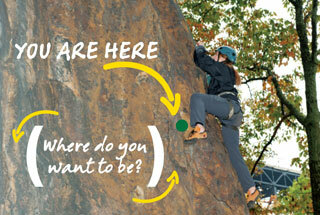 They meet on Tuesdays in Struble Hall on the lower level of the Education Building at 7:00 p.m. Adults and parents are welcome. While Park Lake has sponsored Cub Scout units in the past, it does not today, but has a partnership agreement with Cub Scout Pack 148 which meets at Lake Highland Preparatory School. 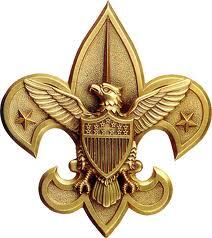 For more information on Troop 48, please contact Carol Bookhardt, Church Secretary, carolparklake@gmail.com. In July, Troop 48 attends a week long summer camp at Camp La-No-Che near Paisley, Florida. Scouts work on merit badges, plus special certificates such as BSA Lifeguard and BSA Snorkeling; and test their skills on challenge and climbing courses, swamp hikes, and a wide range of aquatic, hiking, and biking activities. During the year, Troop 48 has a monthly outing. They leave on Friday evenings and return Sunday afternoons from camping trips, tours, and special excursions, such as going to Busch Gardens or Wet ‘n Wild. At weekly Troop meetings, the Scouts plan programs and the monthly events, work on advancement skills, and enjoy games. A Court of Honor at which advancement and awards are recognized and honored is held once every three months. A calendar of activities can be found on the Troop bulletin board in Struble Hall, on the lower floor of the Education Building. The Scouts at Park Lake also take part in a wide variety of service projects and Eagle projects throughout the year. Scouts wishing to join “The Great 48” can attend any Troop meeting and meet with the adult leaders to receive an application. Troop 48 pays the Scout’s registration fees and provides each a Scout handbook. The Scout provides his own uniform.There are no dues to be paid. A young man must be between 10 and 18 years of age. Physical examinations are required before the Scout can go on aquatic activities or camping. The Troop provides a limited medical expense insurance program to cover Scouts while involved in scouting activities. Summer Camp fees (now approx. $350 for a week) are paid from credits the Scouts earn during the Troop fundraisers, which include manning soft drink booths at two Lake Eola events, having car washes, and hosting an annual Spaghetti dinner at Park Lake. New Scouts who have not had an opportunity to participate and earn credits may draw on future credits. The Scouts provide their own funds for personal expenses at Summer Camp, such as a visit to the Trading Post for snacks. 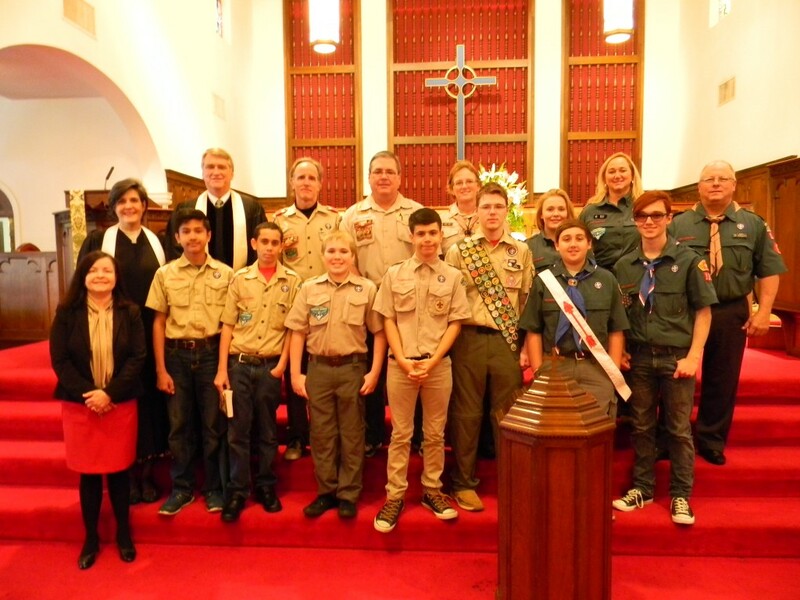 Many members of Park Lake have Scouting backgrounds and the congregation has been most generous in donations not only of funds but of equipment and supplies. The Church budget also supplies $500 annually toward the annual recharter expenses of the Troop. The current Scoutmaster of Troop 48 is David Grey. Assistant Scout Masters are Richard & Laurie Bobletz, and Ed Gantt. Donna Lucier & Robert McDarmont are Scoutmasters for the Venturing Crew. Susan Gantt is the COR (Chartered Organization Representative). At the Troop level in Scouting, all adult leaders are volunteers. There is no paid staff. Troop 48 is always looking for adult volunteers to assist as merit badge counselors, skill teachers, committee personnel, assistant Scoutmasters and Scoutmaster. Adult volunteers can be men or women and are required to undergo a screening process as part of the child protection program. Less than 1% of Scouts nationwide have received Scouting’s highest rank of Eagle Scout. Since its initial beginnings in 1932, there have been 58 Eagle Scouts at Park Lake. These Scouts have gone on to serve their country and communities with distinction. There is an Eagle Scout honor roll Plaque on display in Struble Hall. Over the years, Eagle Projects benefiting Park Lake were those of Eagle Bethel who erected duck nesting boxes around Park Lake; Eagle Barron who landscaped the small parking lot on the north side of the Education Building; Eagle Way who built the first nature trail around Park Lake (which was later refurbished and increased by then Life Scout Logan House, a Park Lake member); Eagle Barron who rebuilt the original duck boxes and added more; and Eagle Thrasher who built planters for the large parking lot on Highland Avenue. Park Lake currently sponsors Venture Crew 102, a senior scouting program for young men and women from 14 to 21 years of age. Venturing’s purpose is to provide positive experiences to help young people mature and to prepare them to become responsible and caring adults. In 1932, the Session at Park Lake voted to sponsor the Boy Scout program, and Troop 29 was chartered. 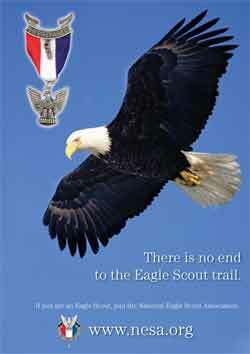 Its first Tenderfoot Scout and later its first Eagle Scout was Carl Langford, who later became Mayor of the City of Orlando and was the first person in the Central Florida Council, BSA, to be named a Distinguished Eagle. During the World War II years, the Troop did not re-charter in 1945. However, it was re-chartered as Troop 48 in 1946 when the veterans began returning home and a Scoutmaster was found. While early records are not complete, more than 40 Scoutmasters, most of who were Park Lake members, have led Scouting at Park Lake. Several have been adults who earned their Eagle badges at Park Lake. Others have been adults who earned their Eagle ranks as Scouts in other Troops such as, Elder Tom Price, who earned the rare Silver Award from the Exploring Scout program at Ormond Beach, which is an equivalent of the Eagle Scout Badge. The longest serving Scoutmaster was Elder Corb Sarchet, who served over a period from 1978-1987, with time out for a stint as President of the Central Florida Council from 1981-82, and then from 2002-2005. He was also an Assistant Scout Master and/or Troop Committee Chairman all other years from 1988–2001 and 2006-2013. Sarchet also was a holder of the Silver Beaver Award, and the Presbyterian Church’s God and Service award. Over its long and distinguished history, scouting at Park Lake has touched and enriched the lives of more than 2,500 young men. The Presbyterian Church (USA) is one of the top five sponsors of Scouting units in the United States. Of interest is that an Eagle Scout in Troop 48, Ta Ann Sung, was the first Scout to win the Buddhist religious award in the southeastern United States. 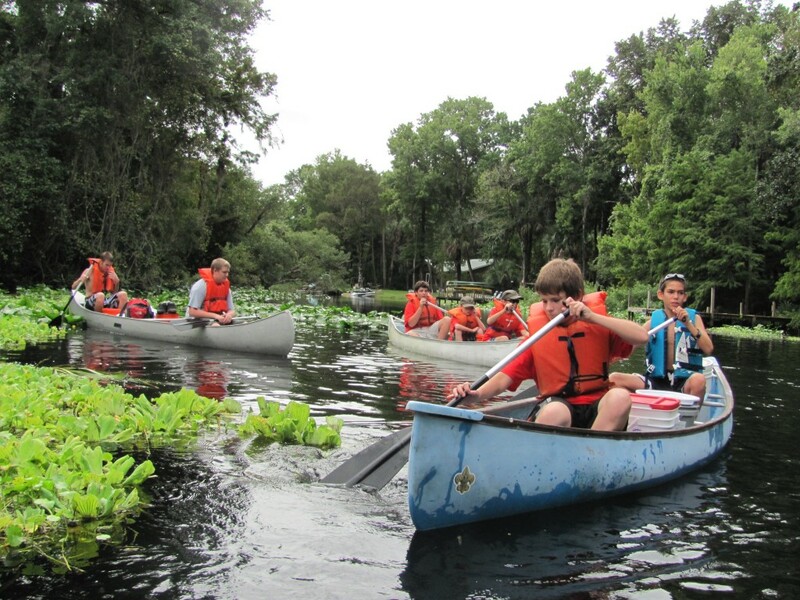 In addition to chartering a Troop, Park Lake has played a key role in Scouting in Central Florida. 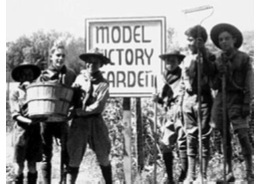 When World War I broke out, a young Don Cheney, who for health reasons was unable to soldier, at his father’s urging did his duty by agreeing to serve as Scoutmaster for a composite Orlando Troop, which was organized from three existing troops which had lost their Scoutmasters and other adult leaders to the war effort. At the end of WWI, Cheney continued his involvement in Scouting and became the first President of the Central Florida Council when it was organized in the 1920’s. By then, now a County Judge, Cheney played a key role in the development of Scouting in Central Florida and was a charter member of Park Lake Presbyterian Church when it organized in 1925. In the early 1950’s, Judge Cheney laid the groundwork for what is now known as Camp La-No-Che, a sprawling Scout reservation near Paisley, Florida. Judge Cheney donated to the Council the first 50 acres on Lake Norris which became the camp. The camp’s name represents Lake (La) Norris (No) Cheney (Che), although generations of Scouts have been told it was the name of an Indian tribe which used to camp there, in ”The Legend of La-No-Che” which was penned by Judge Cheney and is still a part of the opening campfire of the annual summer camps. Judge Cheney received the Silver Beaver award from the local and National Council for his service.